Time’s going by and these animals need your help to keep up the good work that’s being done to save these animal’s natural habitats and to be sure that they are maintained in healthy and humane homes. Join FaunaSafe for a night packed full of celebration and information. 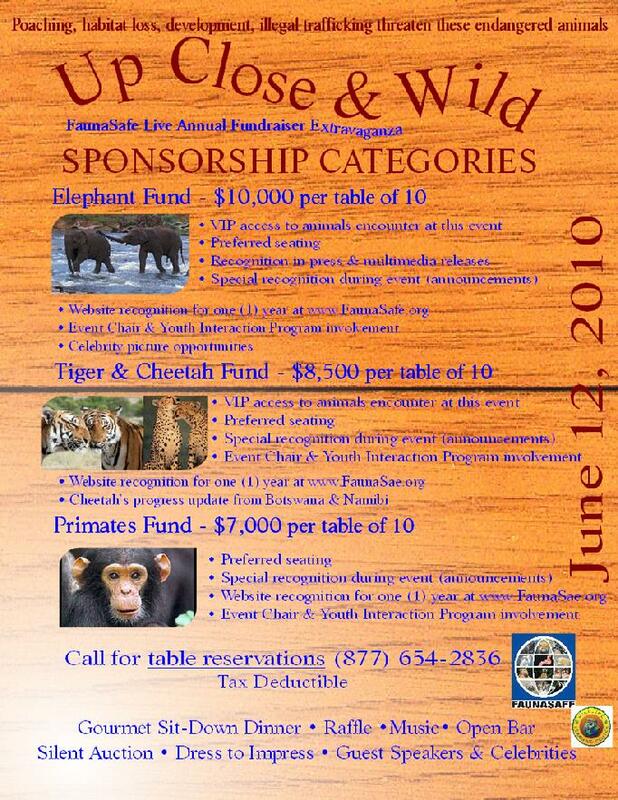 You’ll hear about all the work that’s been done toward saving our endangered animal species and what’s left to be done to be sure that your grandchildren will be enjoying these magnificent animals the same way that you and your children have for centuries to come. Being up close to your favorite endangered animal will take your breath away. Our guest speakers will be alongside to deliver you all the news of what’s happened and what’s next all the while you’re enjoying the finest hors d’oeuvres, cocktails, a 1st class sit-down dinner, music & entertainment, and our secret raffle. 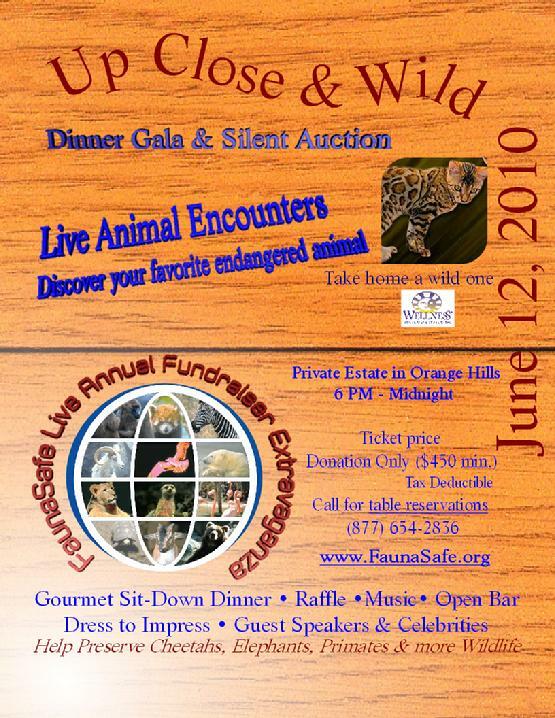 © Copyright 2007-2010 FaunaSafe, Inc. All rights reserved.